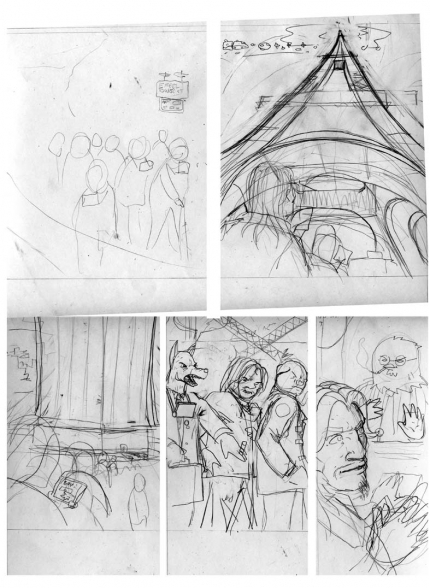 So here is how the first page should look like before the inking. Faezal did a great work in designing the "air-navette"... thanks a lot! I love all of them and this one is my favorite! a pretty airship Faezal. It´s nice to see you working together. Great start, PieR and - and the fashion-week-Dobermann looks like a real ashole. Do they talk to each other...or just meet in this one panel? How many pages are you doing? !0? 12?